It's not too late to get your conspiracy-theory-lovin' sweetie something they really want for the holidays: validation that the earth is flat. 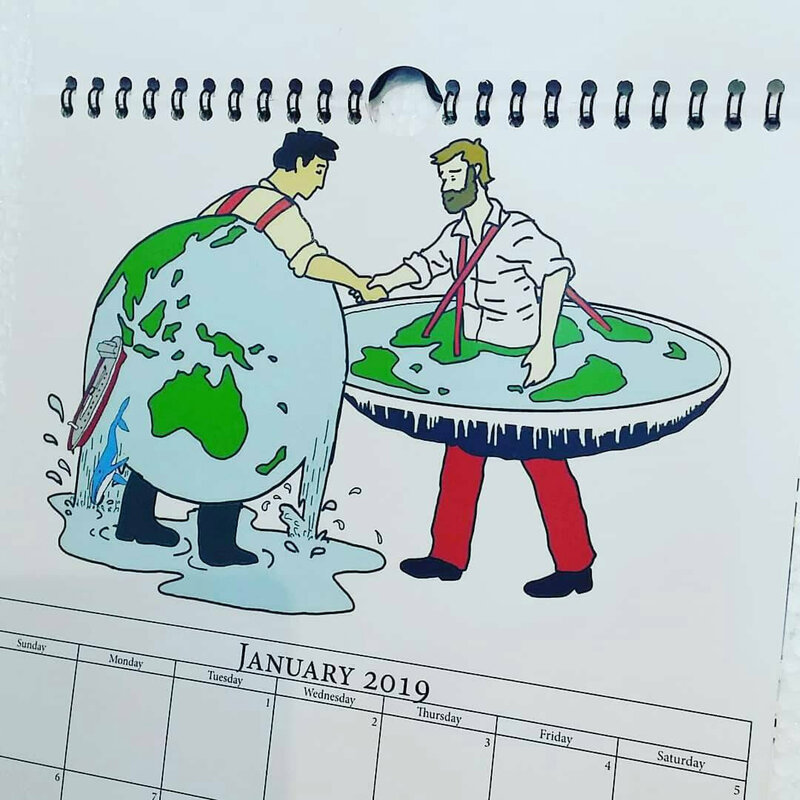 Start with this flat earth calendar ($13.22) and stay for the flat earth posters, stickers, decals, magnets, prints, tees, and tote bags. Find all of it at UK-based Etsy shop Flat Earth Posters. A big thanks to Doc Pop for this one! P.S. I previously listed some strange calendars but this one tops them all!